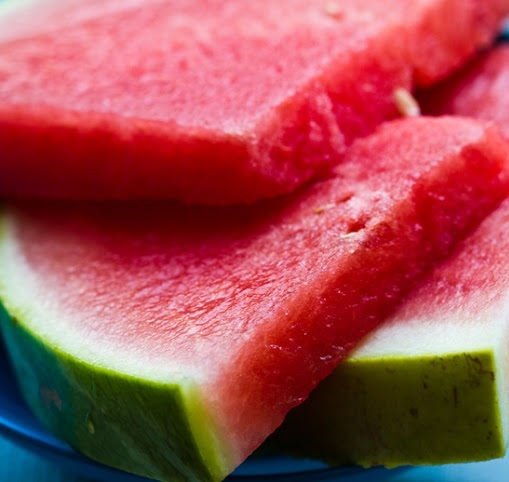 SECOND SLICE: HEADING BACK TO SCHOOL (WITH A LITTLE WATERMELON) - What About Watermelon? Ahh, back-to-school time. Some kids are excited about it. Some kids dread it. I was one of the few who got excited about it. I’d lay out all my new school supplies days ahead of time, sharpening all my new pencils perfectly, zipping them up in the little plastic pouch in my Trapper Keeper. Now that I’ve got a four-year-old who’s heading off to pre-school this fall, things like “back-to-school season” take on a new meaning to me, and I’m able to relive some of the bittersweet joys that came with the end of summer vacation and the beginning of a new school year. I will admit that I really need to work on my pre-schooler lunch-packing skills. According to my wife, a Cup-o-Noodles and a soda aren’t a suitable midday meal for our daughter’s lunch box. (Really? Then why do they fit so perfectly in there?) Besides, that’s exactly what I ate in college on most days, and I did awesome in college. Just sayin’. And then I think back to my own school lunches. Occasionally, I’d get watermelon in my lunchbox, which happens to be the topic of this post. Moms everywhere: If your son or daughter is packing a lunch this year (I’m assuming kids still do that), please consider changing up the ole apple and orange fruit rotation by putting a little watermelon in there now and then. If you need some ideas, you can find some fun recipes for kids on the National Watermelon Promotion Board website. Some might be good for lunchboxes. If you want to do something simple, consider just a few chunks of watermelon in a baggie. It’s nutritious, it’s delicious… it’s fun! Throw in a few banana slices and grapes, put it in a plastic container, and that’s great, too. I assure you I wasn’t pressured into writing this “better lunches” blog entry by a group of angry children. It’s just a simple plea from the kid in me who remembers how great it was to get some watermelon for a mid-afternoon snack now and then. TSAMMA WATERMELON JUICE HAS ARRIVED!